When Hercules (also called Herakles) killed his family in an insane rage, the oracle at Delphi assigned him a series of labors. These were assigned by Eurystheus, king of Mycenae. The second involved going to Lerna to kill the hideous monster named the Hydra. Hercules brought his nephew Iolaus (son of his twin brother Iphicles) as his assistant. This creature with nine heads lived in a swamp. Its mere breath could kill a person. Hercules shot a fire-arrow into the Hydra's den to lure the monster out, while Iolaus set the nearby shrubs on fire to confuse the creature. Killing Hydra was easier said than done, since one of the heads was immortal and the others were almost as bad. As Hercules chopped off one, two new heads grew up to replace them. It was Iolaus who suggested burning the stumps before they had a chance to grow back. Hercules and Iolaus made a great team. The uncle chopped heads; the nephew burned the stumps before the new ones grew. When all mortal heads had been chopped and burned, Hercules disposed of the one that was immortal by burying it securely under a gigantic rock. Hercules had accomplished his second labor. As a reward, he dipped his arrows in the monster's blood. Even a grazing shot from one of those arrows would kill. Each map can be clicked on to produce a 916x1200 version of it. They sport red labels, which look good on screen, but which disappear when used with red flashlights. Each map, therefore has a second link to a map better suited for printing in a graphics program, and using in the field. While they are quite large, they are all about 40-60k, and so are easy to view at today's modem speeds. The first map is a wide area view of the constellation, suitable for naked eye browsing. 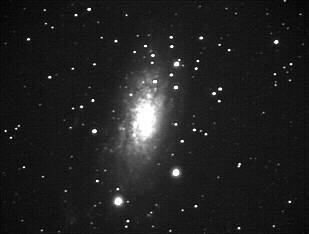 The next views are binocular width, showing stars to mag. 10, and labeling deepsky objects to magnitude 12. Click the maps for a 916x1200 version of the above. Click here for a map better suited for use in the field. Starting at the Hydra's tail, and proceeding west and north to its head these maps display stars to magnitude 10, and deepsky objects to magnitude 12. 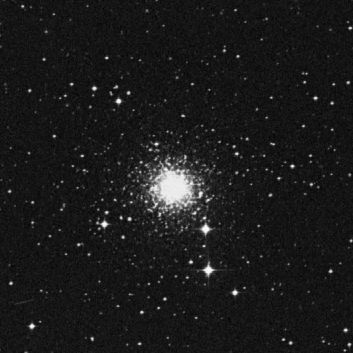 22k JPEG NGC5694 (Caldwell 66) is a globular cluster located 7.4° east of Pi Hydrae and 5.6° WSW of Sigma Librae, placing it at the tip of the monster's tail. Dreyer calls it quite bright (mag. 10.2), quite small (3.6'), with a pronounced core. He also gives it a single "r," meaning it is somewhat resolvable. Dark skies and a large scope help bring out the faint, powdery stars. This is a distant globular. Image from the Digital Sky Survey. 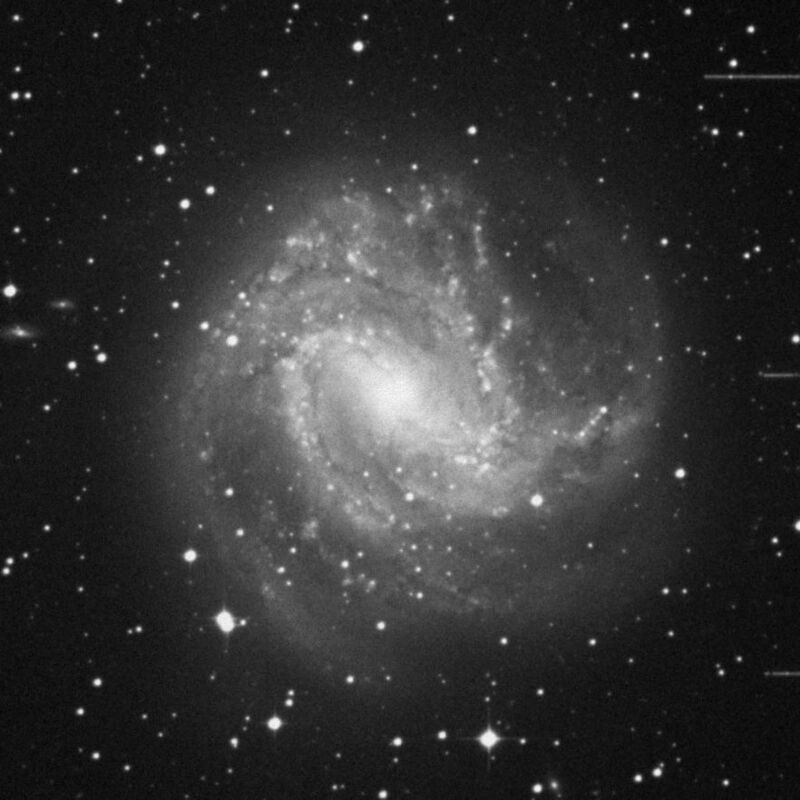 8k JPEG Another image of M83 from the CCD Image Archives. Pedro Ré took this with a HISYS22 and a C-14 at f6. Two, five minute exposures. 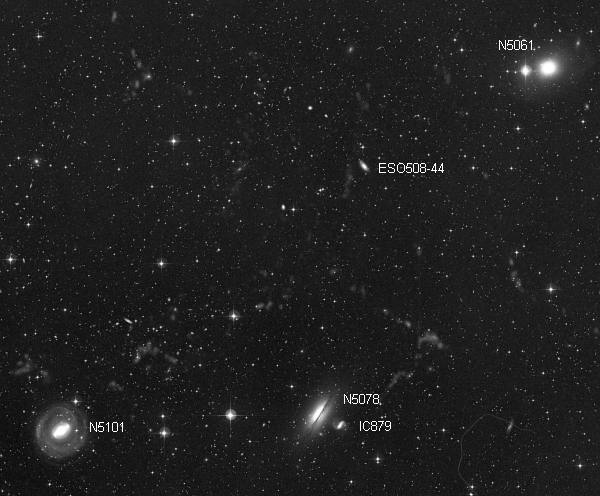 44k Labeled JPEG Three major galaxies occupy one degree of sky about 3.8° south of Gamma Hydrae in the eastern part of the constellation. NGC5061 (Bennett 59) sits one degree north-west of the other two. Dreyer describes it as very bright (mag. 10.3), small (3.5'x3.0'), round, with a very abruptly much brighter middle. A 9th magnitude star lies 2' eastward. NGC5101 lies one degree south-west. Described as quite bright (mag. 10.6), fairly small (5.4'x4.5'), little extended, with a fairly abruptly brighter middle star. Observers today call it a stellar nucleus; no-one was certain of the true nature of galaxies in Dreyer's day. 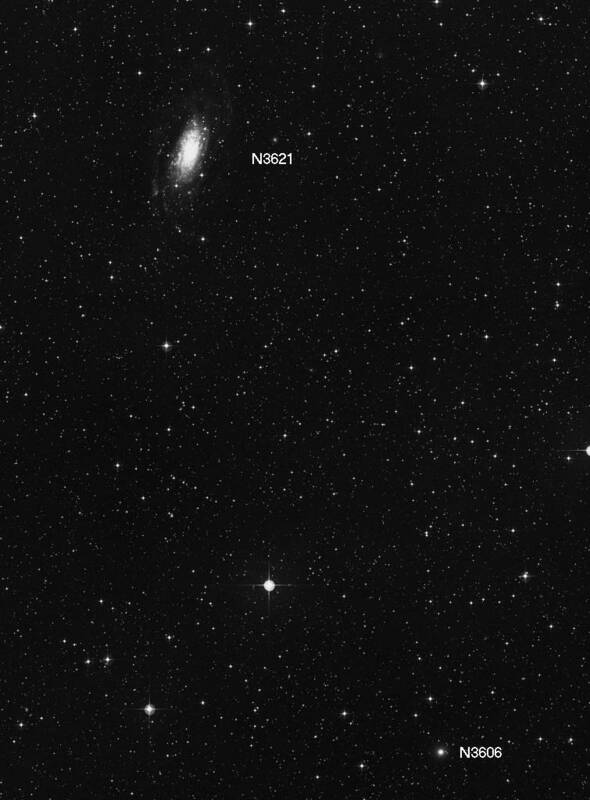 NGC5078 lies 26' west of NGC5101. Dreyer's description reads: Fairly bright (11.5), fairly small (3.9'x1.9'), considerably extended (177°), and a fairly abruptly brighter middle. A star of magnitude 7 or 8 lies to the east. IC879, a very faint galaxy shining at mag. 14 (photographic), lies about 3' south-west. 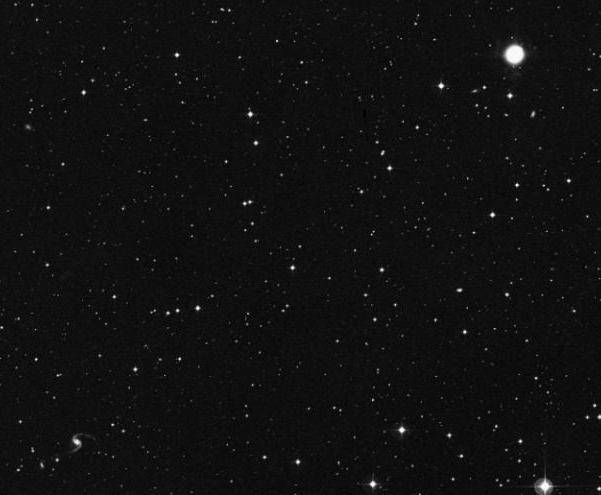 Image from the Digital Sky Survey. Countless galaxies inhabit the image, especially the larger version below. 10k JPEG M68 (NGC4590, Bennett 51) is a large (12'), extremely rich globular cluster located 3.5° SSE of Beta Corvi. Shining at a combined magnitude of 8.2, its stars resolve at mag. 12-13. From the CCD Image Archives. Pedro Ré took this with a HISYS22 and a C-14. Two, three minute exposures. 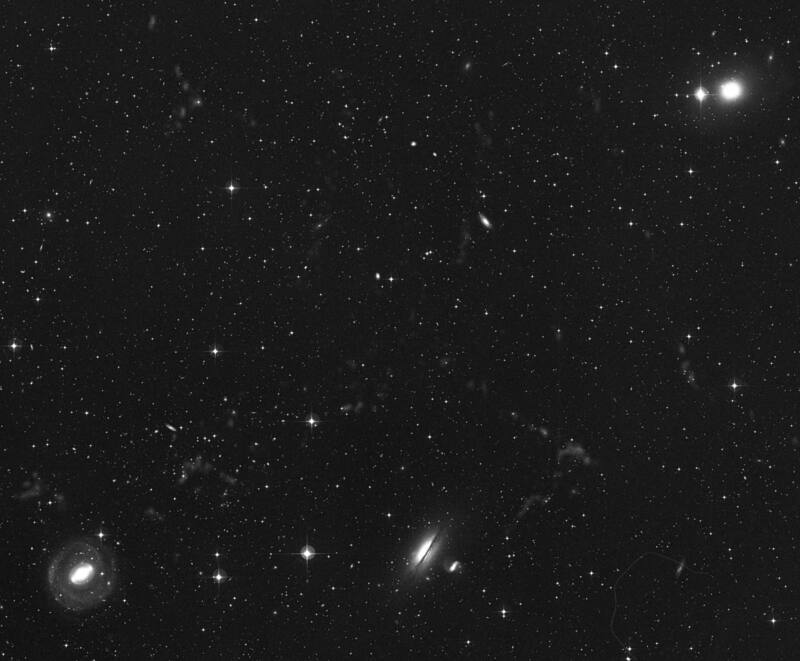 80k JPEG Two galaxies occupy the same low power field. NGC3923 (Bennett 49) is described as bright (mag. 10.5), fairly large (5.9'x3.9'), little extended, gradually much brighter toward the middle, and "resolvable," meaning a 12" may show mottling under good conditions. There is a very faint star southwest involved. NGC3904 lies 37' south-west of NGC3923. 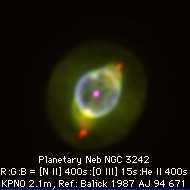 The NGC Catalog lists it as fairly bright (mag. 11.8), small (2.7'x2.0'), round, with a much brighter middle. NGC3621 (Bennett 46) is a spiral galaxy located 3.3° WSW of Xi Hydrae (in the south-central portion of the constellation). Described as quite bright (mag. 9.6), very large (12.4'x7.1'), and elongated, it has an overall patchy appearance. It sits in a trapezium of four stars. 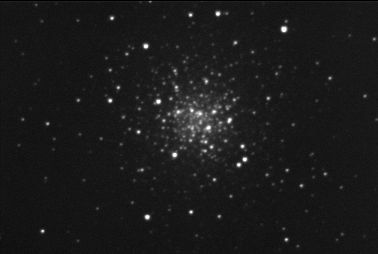 NGC3606 sits 1.1° SSW of NGC3621. It is a mag. 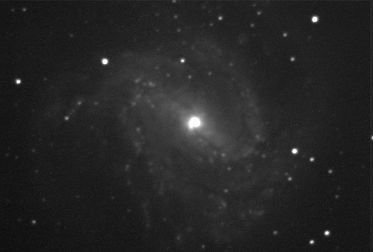 13.4 galaxy made easier to see by its small size (1.5'). 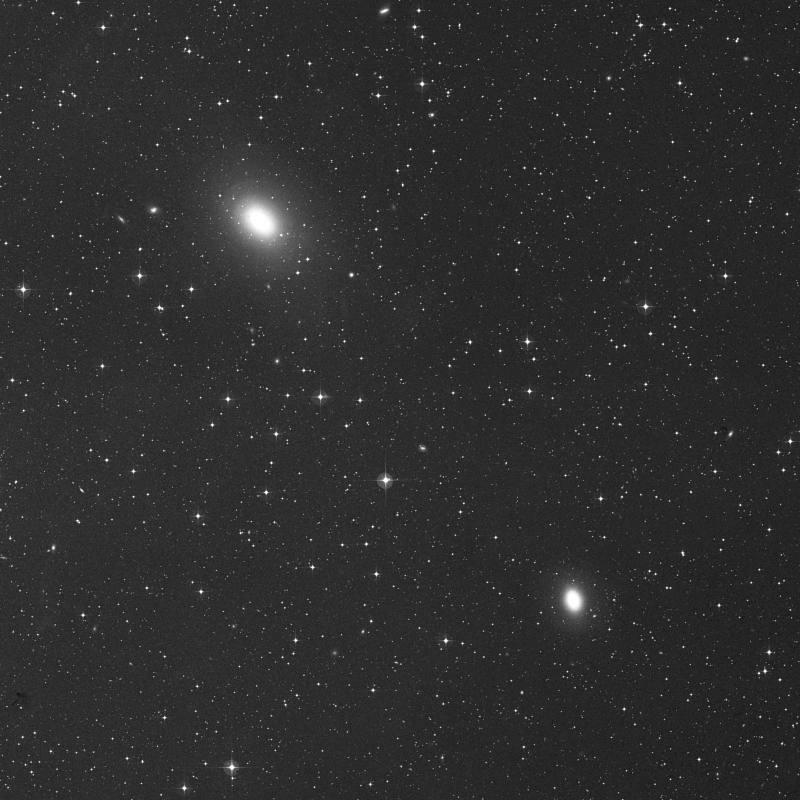 Image on the left was taken with an ST6 on a C-14 at Grove Creek Observatory. It is a combination of 30, 30 second exposures at f7. Image on the right is a mosaic made from the Digital Sky Survey. NGC3242 (Bennett 45, Best 57, Caldwell 59) is called the "Ghost of Jupiter." It is a planetary nebula located in western Hydra, 1.6° north of Mu Hydrae. Dreyer calls it very bright (mag. 9), irregularly elongated in P.A. 147, and shining with a blue color. Dreyer gave its size as 45". Others give it as 35"x40"". The first image is from the Digital Sky Survey. The Ghost of Jupiter is in the upper, right, somewhat overexposed. Numerous faint galaxies inhabit the field, including the beautiful ESO568-11, a mag. 14.6 spiral with swept back arms. The second image is by Dr. Bruce Balick, and shows well the inner and outer shells. 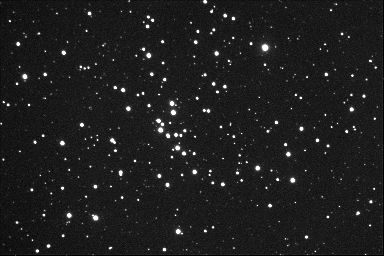 21k JPEG M48 (NGC2548) is a very large (54'), fairly rich open cluster located 18.5° WNW of Alphard. Shining at a combined magnitude of 5.8, its stars resolve at mag. 9-13. From the CCD Image Archives. Pedro Ré took this with a HiSYS22 and a 4" Meade at f6.3. Two, two minute exposures.